In the last episode of Chongqing Stories, we interviewed Chen YiZhong, Executive Vice-General Manager of TESTBED2 贰厂, who told us something about the origins of this project as well as its current and future developments. In this second episode, we will tell you the story of Janet Tan, a Malaysian expat in Chongqing who decided to open, inside TESTBED2 贰厂, Mama J’s Bistro specialised in Malaysian cuisine from Penang (you can find it at 真理客厅 2nd floor, Building 1). Janet, with over 20 years’ experience running successfully in F&B hotel loyalty programs in Asia-Pacific region (such as Indonesia, Philippines, Thailand, Vietnam, South Korea, Singapore), gained a broad understanding of hotel management and customer relationship. When she arrived in 2013, she was based at Hyatt Regency in Chongqing for a year before joining a local real estate company to manage a series of projects with Michelin-starred restaurant. Prior to Mama J’s Bistro, given her experience in the hospitality industry, she also launched her own consultancy agency, F&B Management & Consultancy. After all these years working in the hotel industry, how did you come up with the idea to open a restaurant? J: It has always been my dream to open a restaurant. I have the passion for cooking and trying different type of cuisine. I also enjoy sharing good food with family and friends. When my father was still alive, he was always excited when I came back to Malaysia, as that means he would be able to enjoy new cuisine I learned abroad. In early 2016, a Malaysian friend based in Beijing, came to Chongqing for a weekend trip. I invited her for lunch at my home and after a few bites, she started crying and said that my food reminded her that one cooked by her mother, that was a big compliment and I was very touched. So, in Summer 2016, I had the idea of providing Malaysian food for home delivery. 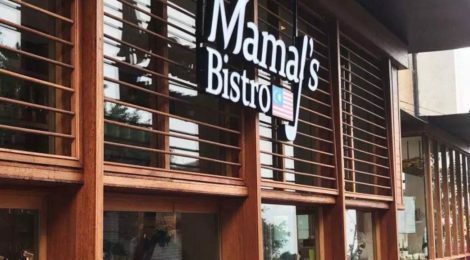 Because some customers mentioned they preferred to dine in a restaurant, as the food sometimes take a long time to be delivered, cold upon arrival and not to mention the delivery fee by 闪送 which was expensive, I started to look for a place where to invest my passion and thus Mama J’s Bistro was born. Was it difficult to start your business in Chongqing? J: The bureaucracy here is very complex. I went through a lot of hardship and difficulties. 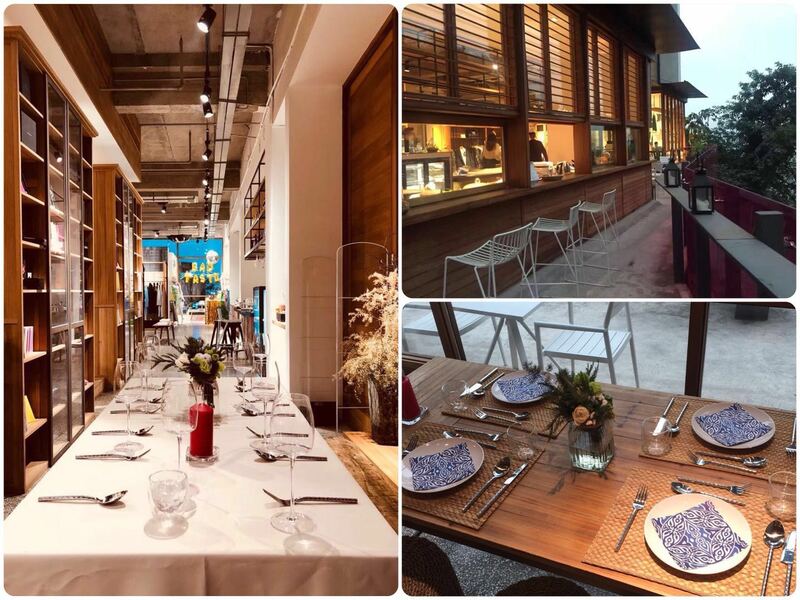 Thanks to the CEO of TESTBED2 贰厂that Mama J’s Bistro become a reality. We officially opened the restaurant in October 2017. Initially, we were selling pastries and beverages only. It took us more than four months to test and survey if the taste bud of the local market could accept our authentic Malaysian dishes and now we have a small menu with signature dishes. Did you notice any difference between Chinese and foreign customers when they come to your restaurant? J: Chinese customers that are not familiar with Malaysia cuisine are more conservative, they need to see pictures and introductions of the food while those who had tried Malaysian food before wanted to order everything on the menu. Instead, foreigners, they would try anything and everything that is recommended without any hesitation. Usually, we cook the food during dining hours and the fragrance of the food attracts people who come to check out our bistro or to dine. A small minority of customers asks me to remove some ingredients or add more Sichuan pepper but I usually don’t. In my restaurant, I want to serve the authentic Malaysian food and even most of the products that I use are imported from Malaysia. Tell us a good and a bad thing about Chongqing. J: The positive note is that over the last few years, Chongqing has developed into a city that is much more suitable and convenient for foreigners to stay here. From the business point of view for F&B industry, there is a big potential for progress in Chongqing market. But when I arrived in 2013, there was a long list of things that I couldn’t understand, buy or eat. There were only yellow taxis that drove like they were in Formula One Grand Prix and there were hardly any foreign cuisines/restaurants. I still don’t like the weather, the increase in the living costs gone up over the last 3 years and the Difficulties in recruiting hospitality minded employee. My advice, for a future foreign entrepreneur willing to open a restaurant here, is to keep the food as authentic as possible and to don’t localize the taste.